Happy Tuesday! This weekend is going to be sooo busy! With Halloween and DSD, its going to be a great time! With that being said, there’s still 3 more days to get your challenge layouts done for the month of October to get the awesome collab! 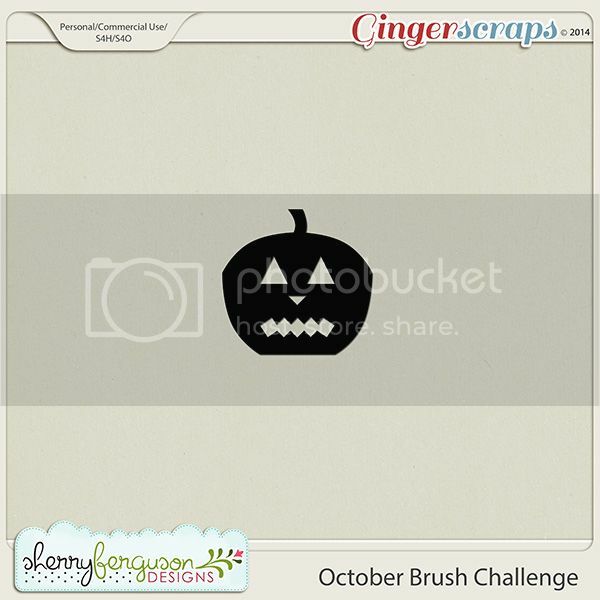 This weeks spotlight is the Brush Challenge hosted by Sherry Ferguson! She provided a cute little Jack-o-lantern brush to add to a layout. Just add this brush to your layout and you can check this one off of your tracking list! You still have a few more days to get those layouts done!